The USB to JTAG hardware and software interface is composed of a high-speed USB JTAG controller (XJLink2 or XJLink) and the XJAPI, allowing you to access and control the JTAG chain directly. The PXI to JTAG hardware and software interface is composed of a high speed PXI JTAG controller and the XJAPI. 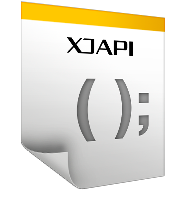 We can develop bespoke end user applications using the XJAPI to meet your requirements. Can be used with any pinout, ARM, Xilinx, Altera, etc. Initialise, set up and terminate the API. Low level functions to set up JTAG scans, perform low level JTAG accesses. Function to set up the hardware and the pin mapping. Specify the desired frequency in Hertz (XJAPI will set to the nearest MHz), the required pin mapping and whether the power should be applied to the board. Function to release the hardware. Must be called before exiting. N.B. The array starts at 0 but the pins at 1, so the setting for pin 10 would be written in array. Function to set the frequency – must be between 100 KHz and 60 MHz. Function to apply TMS reset. Function to go to a specific JTAG state. Function to set the final state that the system goes to after a DR or IR scan operation. By default, both scans go to the JTAG_IDLE state. Function to clock the JTAG chain a specific number of times. Function to execute a JTAG DR/IR scan cycle. By default, it will leave the system in the JTAG_IDLE state after the scan. To specify a different end state, use XJAPI_SetEndState. The type of scan (DR or IR) is specified, the number of bits to scan, and the addresses of data buffers: “outData” is the data to be shifted out, bit 0 of byte 0 first; “inData” is the data shifted in, bit 0 of byte 0 first. Function to implement multiple scanning. This function is used to scan multiple (nScans) chains of mixed type (DR and IR scans) and of mixed length. N.B. “scanTypes”, “length”, “outData” and “inData” are all arrays of length “nScans”.